When loading the FIM Self-Service Password Reset registration and reset web portals, an error is returned to the user. Could not connect to http://servername-fim02:5726/ResourceManagementService/SecurityTokenService/Registration. TCP error code 10060: A connection attempt failed because the connected party did not properly respond after a period of time, or established connection failed because connected host has failed to respond x.x.x.x:5726. In a load balanced environment, the error message will only show up on the server that handled the request. In order for the FIM SSPR registration and reset portals to communicate with the FIM Service, ports 5725 and 5726 must be open on the firewall and allowing HTTP traffic from the FIM SSPR server(s) to the FIM Service server(s). In this scenario, the problem existed because the FIM SSPR portals were configured to use the hostname of the FIM Service that is routed on the management network interface, and the firewall was only configured to allow traffic on ports 5725 and 5726 on the application network interface. Thus, the FIM SSPR portals could not communicate with the FIM Service as the ports were blocked when using the configured hostname for the FIM Service server. In order to fix this problem, the FIM Self-Service Password Reset registration and reset web portals must be re-configured on all servers to use the hostname of the FIM Service server on the application network interface. As well, the external service address must be configured on the FIM Service to also use the hostname that is routed on the application network interface. The steps for doing this reconfiguration are outlined in the following sections. 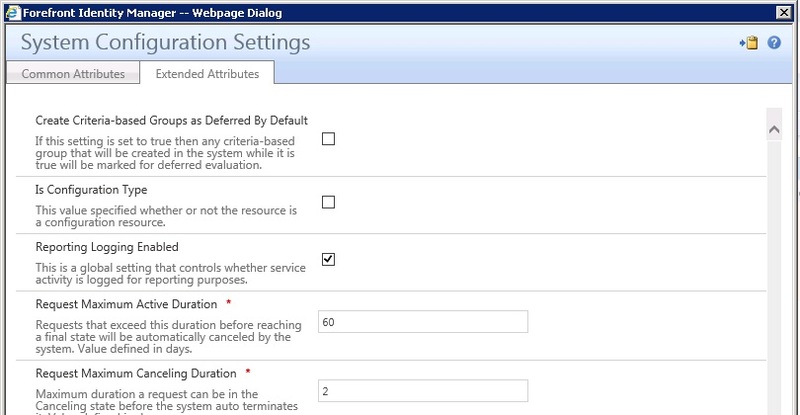 On the next screen (shown below), click Change to complete the reconfiguration process and apply the changes. You may get this message for several reasons but in this case, C drive ran out of space. Forefront Identity manager Events logs in following location: C:\Windows\System32\winevt\Logs and sometime this will grow very fast and it will use all the space in C drive. Check the status available space in your C drive and it’s full you may want to delete some of the log files to free up the space and restart the computer. Additional Text Details: The Request contains changes that violate system constraints. It says we should enable Reporting Logging. I made sure Reporting Logging enabled but still having problem. Save and exit out from Central Administration and try to uninstall now and it should work. It worked for me. 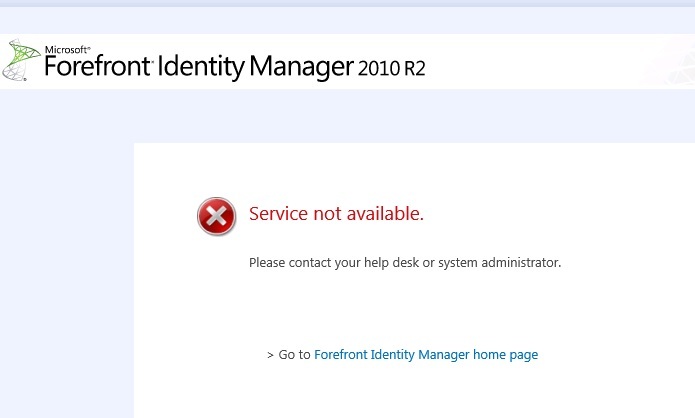 Where can I find learning materials about Forefront Identity Manager 2010?